In corporate America, studies have shown women start to fall behind on day one and lose ground with every step. There continues to be a need for us to do more—as individuals and as organizations. We need commitments to more than just programs on gender and diversity. We need an awareness of the underlying causes and as importantly what steps can be taken to get us to the place where all women are equally represented. At WITI our mission is to empower women to achieve unimagined possibilities and transformations through technology, leadership, and economic prosperity. As part of an ongoing partnership, WITI, IDC, and Randstad Technologies have joined together to conduct a survey on how gender viewpoints differ in the workplace. The survey touches on a variety of topics to better understand what factors have helped shape employees' careers and what challenges they face in the workplace. To better understand where gender might result in different points of view, the survey was fielded to both women and men. 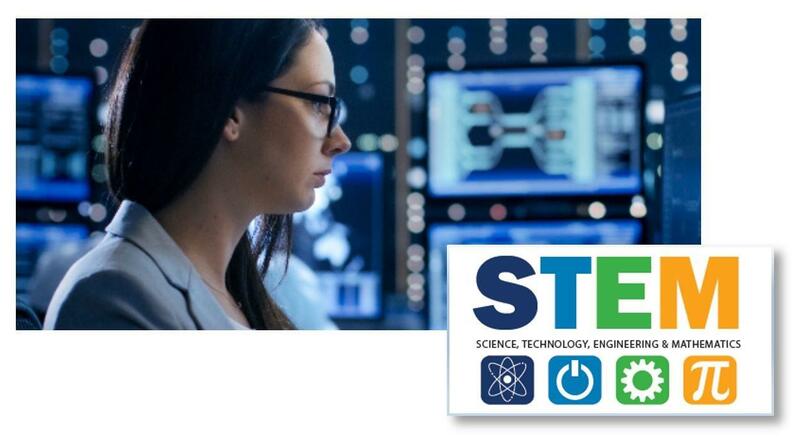 Join WITI and Randstad Technologies as we present a panel of insightful, influential women to discuss the challenges and opportunities that exist in STEM fields. Some of the topics our panelists will cover job security, the influence of mentors, career advancement and Inhibitors, building your personal brand, navigating different points of view and lessons learned. Shally Pannikode is vice president of Information Technology at Anthem Inc. In this role, Shally is responsible for driving Anthem's Consumer Engagement by delivering innovative solutions in care, provider, call center, and pharmacy areas to improve the health of Anthem's 40+ million members. She is an accomplished IT executive with over 20 years of experience in leading information technology organizations that build and implement large-scale software products in the healthcare industry. 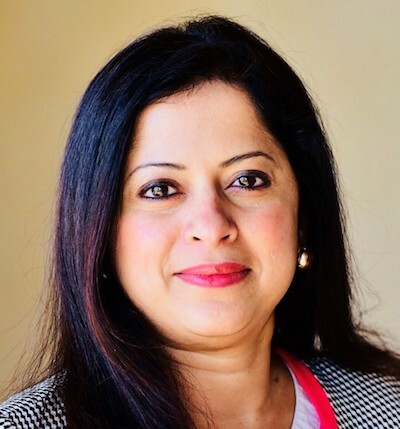 Shally leads the charge in delivering 'next generation' care management products with the latest technologies and best practices, as is evidenced through her initiatives at Anthem in cloud-based product development, open source communities, and the creation of a center of excellence for Pega technologies. In addition to her role at Anthem on the Senior Leadership Team, Shally is a chair for the Freedom Council for the Alliance for Freedom Restoration and Justice (AFRJ). The AFRJ is a non-profit organization comprised of a coalition of businesses across the globe who have come together to fight to end human trafficking and protect the vulnerable. Shally's efforts were recognized by the Department of Justice (DOJ) and she was recently invited to speak as a panel member at a summit on combating human trafficking. Attorney General Jeff Sessions thanked Shally and other panel members of the business community for their roles in leading their organizations in this ongoing global fight. Shally is also an executive sponsor of Anthem's associate resource group, Asians Committed to Excellence (ACE), formed to promote the diversity and strengths of Anthem's Asian and Asian American associates. She spends any extra time she has to promote STEM leadership and diversity and has spoken at events such as the Amazon web services conference, Accenture in India, women in technology Anthem event, and engaging business forum on human rights. Her passion for helping others is evident in her embrace of the servant leadership philosophy. Shally puts that philosophy into practice and works every day to enrich the lives of others through her efforts. As a reflection of her deeds, the Atlanta Business Chronicle selected Shally as a 2018 Women Who Mean Business Award winner. Deloitte likewise invited her to participate in a 3-year leadership program called Women to Watch. Additionally, Shally is a finalist for the 2018 Women in Technology Woman of the Year Award. Shally, her husband, and two children reside in the Atlanta metro area. Kesha Williams is an award-winning software engineering manager with over 20 years' experience specializing in full-stack web development. She's passionate about emerging technologies, speaking, teaching, and mentoring. She's trained thousands of software engineers in the United States, Europe, and Asia while teaching at the university level. She leads innovation teams in proving emerging technologies and shares her learnings at technical conferences around the globe. She won the Ada Lovelace Award in computer engineering from Look Far and the Think Different Innovation Award from Chick-fil-A for her work with artificial intelligence (AI). Amazon featured Kesha in the "Alexa Women of Voice" campaign and named an "Alexa Champion." In her spare time, she leads the Georgia chapter of Technovation, writes news for "InfoQ," authors video courses, mentors women in tech, and conducts free coding workshops for children at her local library. Allana Cummings is CIO of Children's Healthcare of Atlanta. Prior to her role with Children's, Allana served as CIO at Northeast Georgia Health System, where she oversaw the information technology, clinical informatics, and telecommunications departments. She also previously served as vice-president/CIO of Children's Healthcare Services of Omaha. Throughout her career, the teams Cummings has worked with have received robust national recognition for efforts in implementing electronic medical records and other technologies to advance the safety of patient care, most recently including HIMSS EMRAM Ambulatory Stage 7, HIMSS EMRAM Stage 6, and Information Week 500 award. Allana has also been recognized among the "100 Hospital and Health System CIOs to Know" in Becker's Hospital Review and Health Care's Most -Wired Board. She served as chair of the Healthcare Information and Management Systems Society (HIMSS, worldwide board and as a member of the HIMSS Analytics Board and Most Wired Advisory Board. She was appointed by Governor Nathan Deal to the department of community health board (2013 to present) and serves on the DCH Policy Committee and DCH Care Management Committee. Allana attended Mercer University where she received a bachelor of science degree in organization leadership and completed her Executive MBA from the Ken Blanchard College of Business at Grand Canyon University. 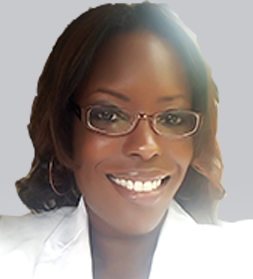 In addition, Allana is a certified professional in healthcare information and management systems (CPHIMS), certified healthcare CIO (CHCIO), and has earned her project management professional (PMP) certification and FHIMSS (HIMSS Fellow). Nicole Monroe is the CIO for Parker, Hudson, Rainer, and Dobbs (PHRD). She directs the firm's information technology department, managing all aspects of the firm's strategic and operational, technology-related initiatives. She works closely with firm executives and practice leadership to ensure technology effectively supports the firm's client service and business objectives. With more than 15 years of experience in the technology field, Nicole has worked within a number of industries including legal, healthcare, and government. Her experience spans a wide range of IT-related specialties including networking, security, end-user computing, and applications. She is a skilled communicator and leader, having managed a number of highly-productive IT teams. Before joining PHRD, she served as the Director of IT for the VA Attorney General's office, one of the largest law firms in VA. She was responsible for all IT strategic planning and played a lead role in the Attorney General's technology initiative to reform and modernize the office. Nicole received her bachelor of science in computer science from Spelman College and her master of science in management information systems from Strayer University. She served on the advisory board for the 2016 Virginia Governing Leadership Forum and is an active member of the International Legal Technology Association(ILTA), Women in Technology, and Atlanta Association of Legal Administrators (AALA). 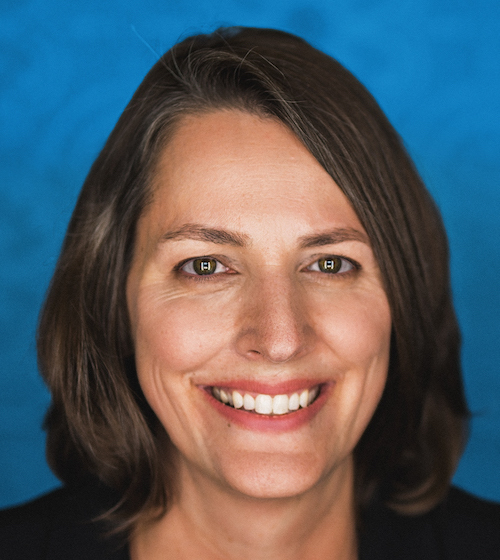 Robbin Jones is the board of director chair for The Coca-Cola Women In Technology. She began her career as a web developer and over the years progressed into product management, Agile Coaching and Consulting. Robbin has over nineteen years of experience delivering IT solutions across the public and private sectors, startups and Fortune 100 companies. In 2017, she co-founded iAgilez, a startup that offers consulting services for individuals, teams, managers, executives, and organizations at large who are ready to embark on their Agile journey. Prior to joining The Coca-Cola Company, Robbin had over ten years of product leadership roles across multiple industries, including manufacturing, education, IoT, health care, and telecommunication. Robbin's career includes key strategic assignments with companies such as National Association for the Education of Young Children (NAEYC), Ceridian, Verizon Telematics, and now The Coca-Cola Company. Robbin's greatest passion is engaging the next generation of leaders by helping to advance the roles and exposure of STEAM careers to not only women and young women, but also underrepresented students from economically distressed communities across STEAM industries. She is a member of Women In Technology (WIT), a non-profit organization passionately advocating for women of all ages in Georgia's STEAM community, as well as, The Coca-Cola Agile Center of Excellence, and the African American Business Resource Group. Sarah Moore bridges the gap between IT and the rest of the business. Sarah is vice president, IT Applications at Randstad USA where she is a founding member of WIRED (Women in Randstad Empowering Development). 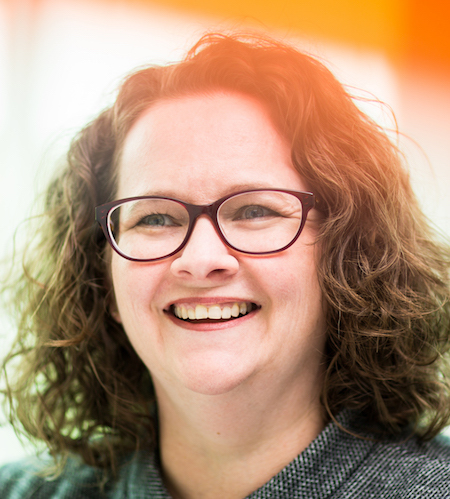 While serving in a broad range of industries and technical leadership roles, the common theme throughout Sarah's career is technical project management concentrating on improving technology performance, profitability, and user experience. With expertise in IT project management, business analysis, operations, governance, support and application development she is passionate about mentoring, leading teams, resolving conflict, and developing business relationships. Sarah received her BS in computer science from Georgia Tech. In addition to mentoring women at Randstad through WIRED, Sarah is a Mentor Jacket, coaching female students at Georgia Tech as they plan to enter the workforce. Sarah is proud to serve as a navigator in Randstad's Hire Hope program, which provides underserved and at-risk women with career readiness training and job opportunities. Sarah and her husband Mark are also very active in the Sandy Springs community, including Sandy Springs Conservancy and Heritage Sandy Springs.